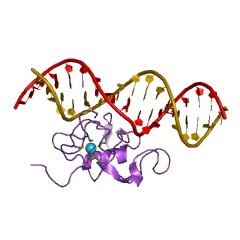 The THAP domain is a putative DNA-binding domain (DBD) and probably also binds a zinc ion. 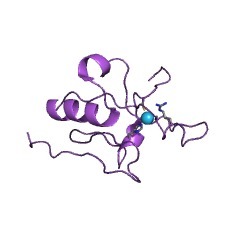 It features the conserved C2CH architecture (consensus sequence: Cys - 2-4 residues - Cys - 35-50 residues - Cys - 2 residues - His). 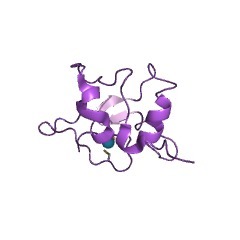 Other universal features include the location of the domain at the N-termini of proteins, its size of about 90 residues, a C-terminal AVPTIF box and several other conserved residues. Orthologues of the human THAP domain have been identified in other vertebrates and probably worms and flies, but not in other eukaryotes or any prokaryotes (PUBMED:12575992). There are 14352 THAP domains in 12471 proteins in SMART's nrdb database. Taxonomic distribution of proteins containing THAP domain. This tree includes only several representative species. The complete taxonomic breakdown of all proteins with THAP domain is also avaliable. Click on the protein counts, or double click on taxonomic names to display all proteins containing THAP domain in the selected taxonomic class. 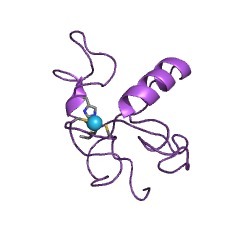 The THAP domain: a novel protein motif with similarity to the DNA-bindingdomain of P element transposase. 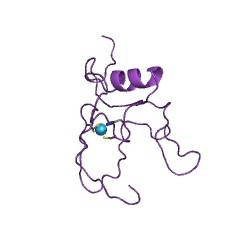 We have identified a novel evolutionarily conserved protein motif -designated the THAP domain - that defines a new family of cellularfactors. 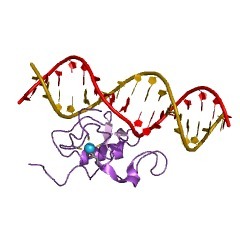 We have found that the THAP domain presents striking similaritieswith the site-specific DNA-binding domain (DBD) of Drosophila P elementtransposase, including a similar size, N-terminal location, andconservation of the residues that define the THAP motif, such as the C2CHsignature (Cys-Xaa(2-4)-Cys-Xaa(35-50)-Cys-Xaa(2)-His). Our resultssuggest that the THAP domain is a novel example of a DBD that is sharedbetween cellular proteins and transposases from mobile genomic parasites.